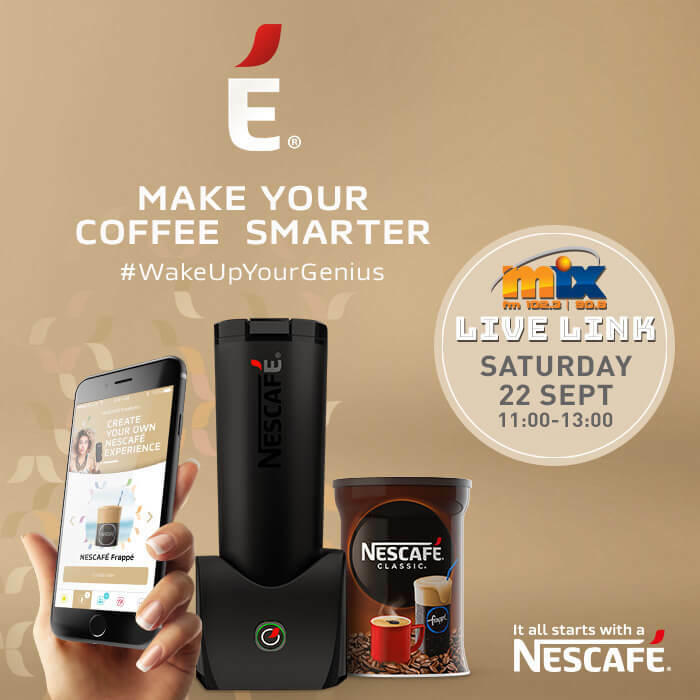 Nestle opens up a new world of coffee by presenting the next generation of coffee devices… É by NESCAFÉ! A compact, trendy and mobile coffee machine, meant to create a variety of indulgent fresh coffees adapted to individual taste and preferences. The easy to carry É is a state-of-the-art smartphone connected coffee maker and an eco-conscious travel mug all-in-one. It’s your everyday companion! Join us on Saturday, September 22nd, at 11:00 a.m. – 1:00p.m. for a live link by MIX FM. É by NESCAFÉ, discover it on the first floor at the The Mall of Cyprus!